lower left blind stamp: © [chop of Gemini G.E.L. 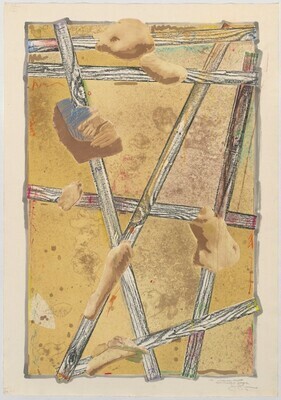 ]; lower left verso stamped in gray: GEMINI G.E.L., LOS ANGELES, CALIF.
Field, Richard S. The Prints of Jasper Johns, 1960-1993: A Catalogue Raisonné. West Islip, New York: Universal Limited Art Editions, 1994, no. 149.